Intense shades specifically formulated for lining and enhancing the eye. Formulated using only minerals and pigments our eye liners have great wearabilty and colors that will never fade. Use dry for a rich smoky effect or wet for extraordinary shimmering color. The Line and Smudge, Perfect Line, Smudger and Multi-Task brushes are perfect for applying these loose-mineral powders. 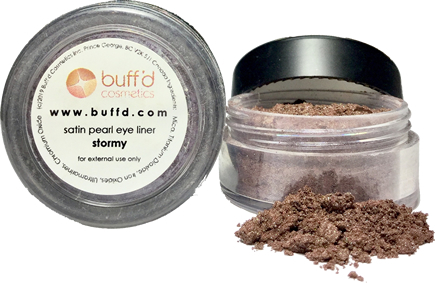 Copyright © 2019 Buff'd Cosmetics Inc. All rights reserved.